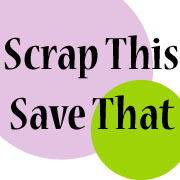 Scrap This, Save That: Frugal Date Night! 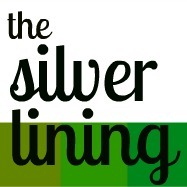 Ahhh... pot roast and a DVD at home on Tuesday night… the PERFECT date night for me and sweet husband. Although I've mentioned it before, some of you may not know that I am disabled. I've had a neck injury for over seven years that causes me to have to stop what I'm doing and go lay down every few hours to rest my muscles. It's no biggie, something that I live with and something I just have to work around, but it's obviously not conducive to being able to work outside the home. That being said, husband and I live on a very tight budget. Our frugality is part choice, and part necessity. I realize you may be thinking, "This woman is crazy! This is NOT a date night. This is just a Tuesday." But you have to realize that date night isn't about where we go or how much money we spend or what activities we do, but it's about attitude. It's about choosing to spend time together and make any night a special night. It's about me closing my laptop and choosing to celebrate my husband. It's about him giving up control of the television remote and renting a movie he knows I've been wanting to see for quite some time. THAT, ladies and gents, is a date. As for that beautiful hunk of beef sitting in my kitchen, (the roast, not my husband!) we should get at least six meals each out of our $13 investment. I cut a little over one third of the roast up for stew meat, so that will be a second dinner for us. Plus, did you see the massive amount of food filling up my huge crockpot? That will be dinner tonight, and at least two more lunches, and once we make stew, we will get at least two lunches out of it as well… maybe even more! 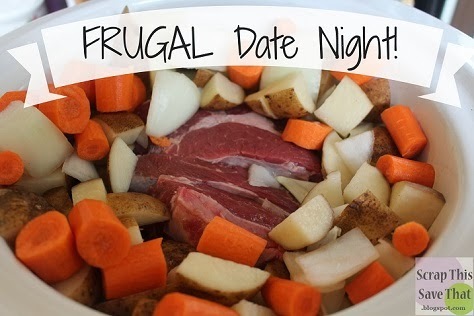 What do you do on a frugal date night? Sounds like a wonderful date night! Enjoy your date! Mark's Finest Paper's Blog Hop, Final Day! Final Day Of The Fashion Show! Fashion Show - Elegant Evening Wear! Money-Saving Monday: The Superhero Edition!